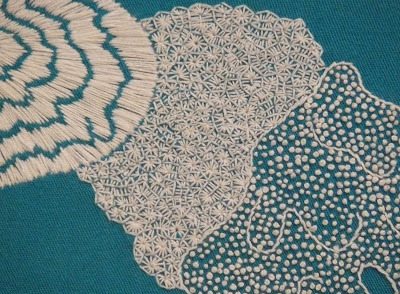 Polyp by polyp, stitch by stitch and choice by choice, whether conscious or not, we all create the world in which we will live and die. 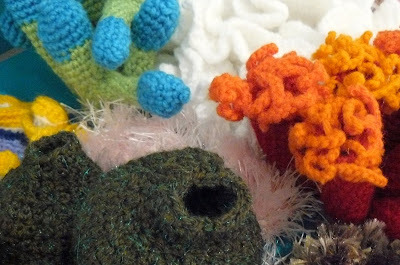 The slow, accretive nature of my artistic practice is an analogy for both the natural world and human society. 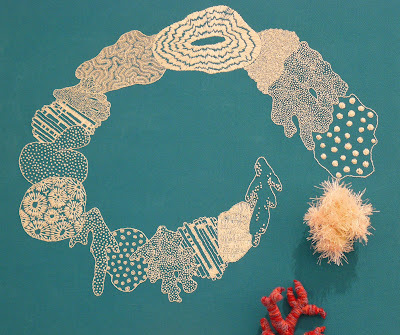 The incremental processes of stitching mimic, and represent, the construction of a reef by millions of tiny coral polyps. These ‘domestic arts’ also signify apparently unrelated individual human choices regarding food, housing, transport and energy; and their cumulative environmental impact. Alive or dead, coral reefs are teeming with stories about the nature of interdependence, sustainability, resilience, time and hyperbolic mathematics. 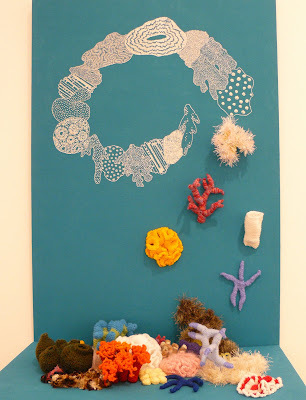 Juxtaposing a shelf reef of crocheted live coral with an embroidered atoll of dead coral, You are an agent of change embodies both my fears and hopes at this turning point on the brink of coral’s sixth global extinction since life began on Earth. That is so beautiful Mellors. The whole display is stunning and the dead coral is mesmerising. On your Coralcosm and Happy Bus - which I have read cover to cover and am thinking very carefully who will be the lucky recipient of my spare copy. You've been working really hard Meliors, we all know that because you're so wonderful at sharing each step, but now we get to see your fruits and I, for one, am very proud of what you've done and I'm also inspired by you to take my own projects to that next stage, the hardest one to get to - completion. Hi Meliors - that's lovely. And sad. And inspiring. A very clear message and your artwork truly reflects your aims. Melancholic and wonderful at the same time. Lovely! Looks great, Meliors. 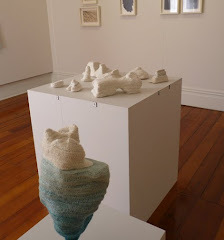 Looking at the photos, I was reminded of Len Lye's film Tusalava which also is about living land forms. Thanks.